The 2018 Summer Break initiated the second Student Exchange facilitated through the German American Partnership Program (GAPP), by sending 5 students to visit our partner school, Gymnasium Korntal, in Korntal-Münchingen, Germany. 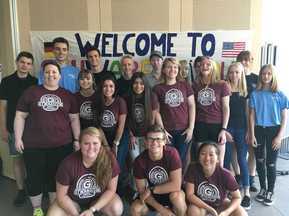 The German American Partnership Program (GAPP) is a high school exchange program between schools in the United States and Germany, sponsored by the German Foreign Office and the U.S. Department of State's Bureau of Educational and Cultural Affairs. GAPP, established in 1977, is the largest and most successful bilateral student exchange program of the US with any other country. While in Germany OSSM students visited Stuttgart, Heidelberg, Ludwigsburg, the Austrian Alps, Strasbourg, France. Activities included touring castles, trying traditional Swabian dishes, and immersing themselves in the culture of their host families. 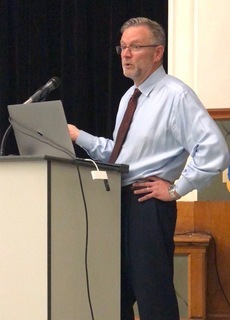 They also had the opportunity to hear from a representative of the German government regarding immigration, border security, and the differences between the systems in the United States and the European Union. 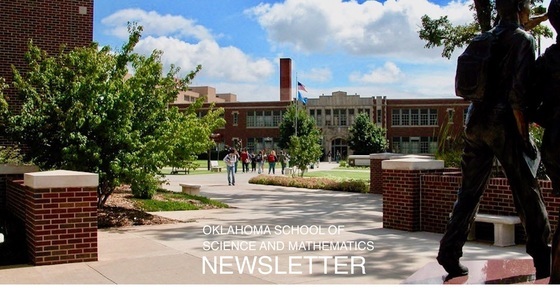 Seventeen juniors from Oklahoma School of Science and Mathematics (OSSM) have been named Semifinalists in the 2018 National Merit Scholarship Competition. 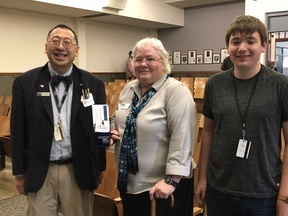 These academically talented high school students have the opportunity to continue in the competition for 7,500 National Merit Scholarships worth more than $31 million. 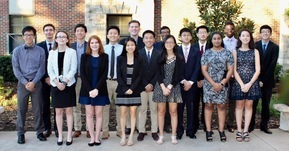 The seventeen Semifinalists from OSSM include Albany Blackburn (Deer Creek-Lamont HS/Nardin), Michael Cheng (Classen SAS/Oklahoma City), Arjun Ganeson (Newport HS/Oklahoma City), Peter Ha (Bishop Kelley HS/Muskogee),Jeanette Hoang (Classen SAS/Oklahoma City), Addie Kammerlocher (Newcastle HS/Norman), Adhya Kumar (Edmond North HS/Edmond), Alejandro Lozano-De Aos (Classen SAS/Nichols Hills), Brad Luo (Edmond Santa Fe HS/Edmond), Jack MacKay (Pryor HS/Pryor), Brittany Shrader (Edmond Santa Fe HS/Edmond), Catherine Tang (Edmond Santa Fe HS/Edmond),William Wang (Jenks HS/Tulsa), Kevin Wiafe (Bethany HS/Bethany),Benjamin Xia (Norman HS/Norman), Howard Zhong (Norman HS/Norman), and Tao Zhu (Norman HS/Norman). Semifinalists must fulfill several requirements to advance to the Finalist level. More than half of the Finalists will win a National Merit Scholarship, earning those students the Merit Scholar title. Teresa Rule, owner of RNT Professional Services spoke at the September 12th assembly. Ms. Rule gave a jaw dropping presentation on cyber security. RNT Professional Services is a disabled military veteran-owned consulting firm that provides vulnerability assessments for clients across the nation. 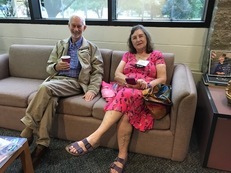 Pictured: Dr. Arne Troelstra and Dr. Gloria Dupree. The 2018 Oklahoma Scholastic Chess Organization (OSCO) hosted their K-12 Tournament on the OSSM campus Saturday, September 15th. Over 150 students participated in the one day event. 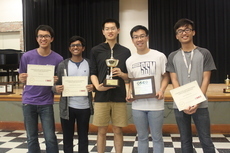 Pictured: Peter Ha, Vamsee Sunkar, Howard Zhong, Michael Cheng and Quyen Cao who won first place in the grades 6-12 under 700 section of the tournament. Congratulations OSSM team! 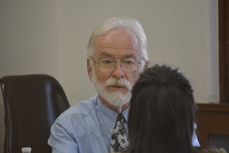 Bill Kuehl serves as Director of Admissions and Registrar. He brings over 25 years of experience strategically navigating colleges and universities enrollment management strategies. 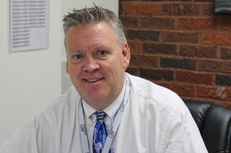 Mr. Kuehl has implemented successful marketing strategies enabling every school that he worked with to exceed its enrollment goals, while enhancing student quality, and student satisfaction. Mr. Kuehl earned a Master of Business Administration in Marketing from the New York Institute of Technology and holds a Bachelor of Arts with a double major in Communications and Psychology from St. Olaf College, where he began his career in admissions as a senior intern. He lives in Moore with his wife and son and says he looks forward to watching enrollment at OSSM grow over the next few years. 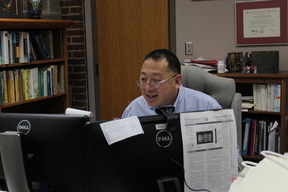 He also has enjoyed working with students who are part of his new Student Ambassador Program. You will have the opportunity to meet Mr. Kuehl on September 22 at Parents Day. 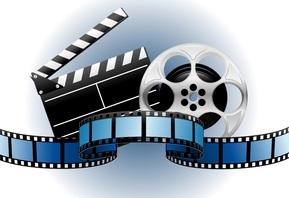 HELP WANTED: If you have experience interviewing we need volunteers to help with Senior Mock Interview Night on October 8th from 5:30 - 8:00 pm at OSSM. Please contact Ms. Berryman at Terry.berryman@ossm.edu. CLICK HERE FOR PAOSSM NEWS! View HAPPENINGS on OSSM campus for September.